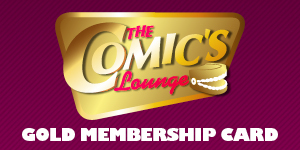 I live in Sydney and been a member of the comics lounge for over 5 years….. I travel to Melbourne once a year with my wife and this place is our special place/highlight…… It’s well worth the membership fee! funny, cool, great comics, great to reasonable prices … All in all,… 5 star place!!!!!!! !Highly recommend it to couples wanting to night off from kids.